Coffee grown in the island’s mountainous interior is at the heart of Puerto Rican identity and history, and is a source of great pride for our people. From those who grow it, process it, and sell it wholesale or retail; to business that supply and support the growers and processors, and for those who happily drink it every day, Puerto Rican coffee is an important economic asset that powers thousands of direct and indirect jobs across the island. Hurricane Maria came close to destroying it all. Nearly 18 million coffee trees and approximately 85% of the island's coffee farms were wiped out. The losses in income for coffee growing families is estimated at over $27 million, with losses to the local coffee industry estimated at over $75 million. Proyecto de la Montaña is a collaboration between ConPRmetidos, local coffee experts, local nonprofit PROCAFE, and National Baseball Hall of Fame catcher, Ivan ‘Pudge’ Rodriguez. 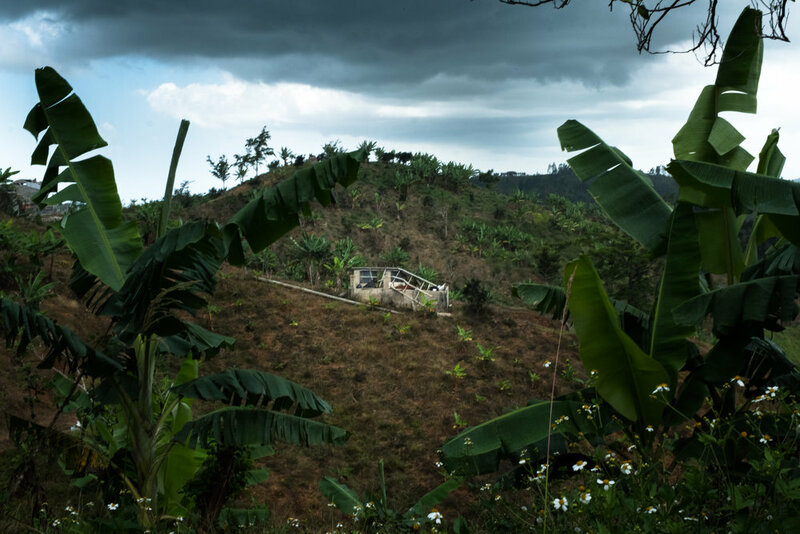 Funded by a $500,000 grant from Unidos por Puerto Rico, and $108,500 from ConPRmetidos’ Hurricane Relief Fund, Proyecto de la Montaña will provide much needed economic relief for Puerto Rican coffee farmers and material support to help the local coffee industry get back on its feet. In addition, Pudge Coffee will donate one coffee tree seedling to small coffee farmers for every 8.8 oz. Pudge Coffee can or pouch, or box of Nespresso capsules, sold through March 2019. The grants will enable PROCAFE to distribute 750,000 coffee tree seedlings, fertilizer and cash subsidies to over 500 small coffee farm families in Puerto Rico, ensuring they have the means to survive, while getting organized to restart their coffee farming. ConPRmetidos and PROCAFE will also develop an updated, coffee-growing best practices manual that emphasizes proven techniques which can help coffee farmers improve quality and yield to maximize the income they can earn. The manuals will be freely distributed.